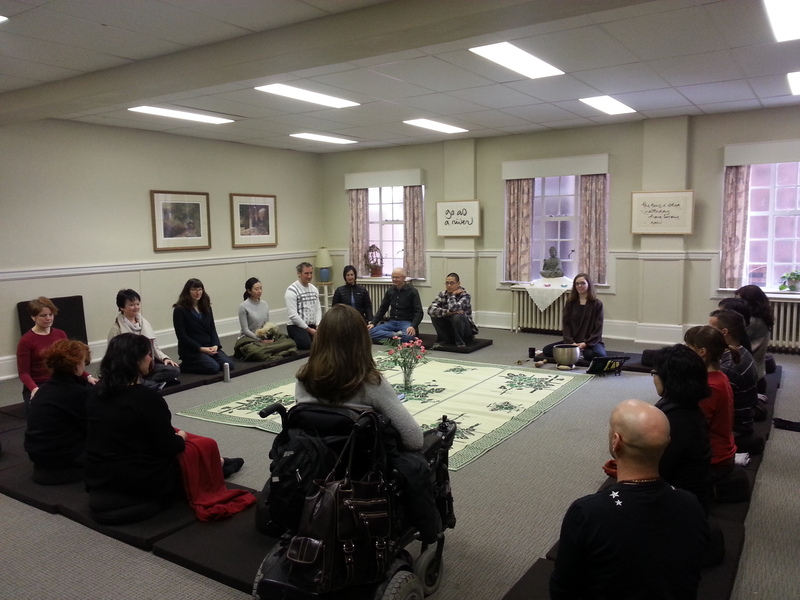 The sessions are facilitated by experienced meditation practitioners. 5 Responses to What is a Typical Meditation Session? Can we maybe put a little bit more information about the format of the meditation sessions, so that potential newcomers can better gauge if the style of our sangha suits them and to have a better idea of what to expect? For example, we gather at 9:30 and do sitting meditation followed by walking meditation for about an hour, followed by a break then dharma sharing, etc. Hi. I’ve added a description of a typical meditation session. I’ve also added the dharma sharing guidelines as another tab. hope you like it. Ray, this is fantastic! The website is clean and easy to navigate, and the links are informative without being too dense. Great work! I just have a few comments here and there. On the “Home” page, the links to “meditation” and “university” both go to info about the retreat. Was this your intention, or would you like people to go to info about the practice of meditation and Brock University itself. On the “About Us” page, the link to “Guidelines for Dharma Sharing” goes to “Our Practices.” Is there a way that the link could go to the “Guidelines” directly?